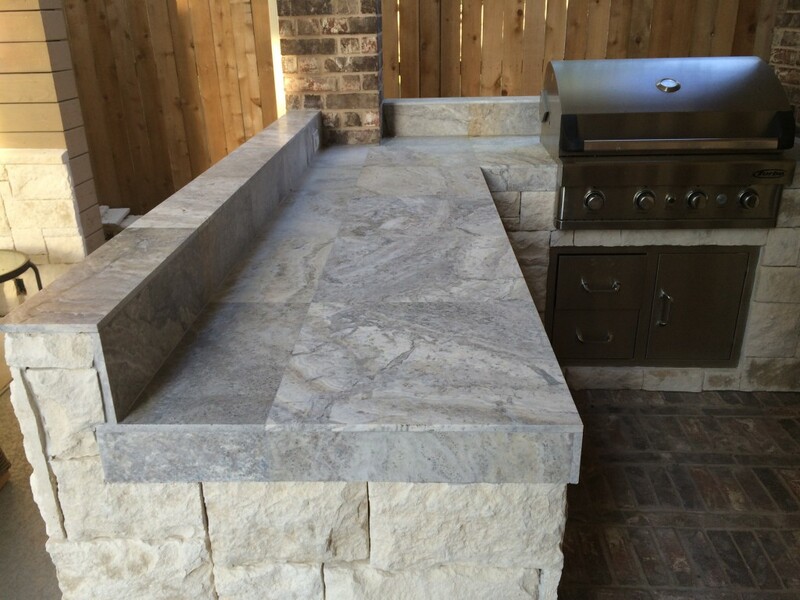 Silver travertine tile is a stylish, unique choice for outdoor kitchen countertops, as you can see in this video of Outdoor Homescapes of Houston’s latest outdoor kitchen. 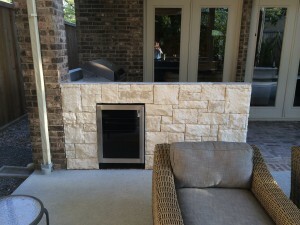 In it, company owner Wayne Franks features a small, stylish outdoor kitchen with silver travertine tile counters and an easily accessible outdoor kitchen fridge. “It’s a natural stone,” says Franks of the silver travertine tile, noting the nicely finished backsplash complete with electrical outlets for countertop appliances. Echoing the hue of the silver travertine tile is the stainless steel of the high-performance grill and storage, drawers and doors housed in islands. Contrasting beautifully with the silver are white Austin limestone dry-stacked island walls. 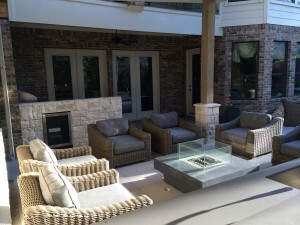 The same Austin limestone can be seen on the columns of the adjoining covered patio and its audio-visual TV wall – visually tying the spaces together. 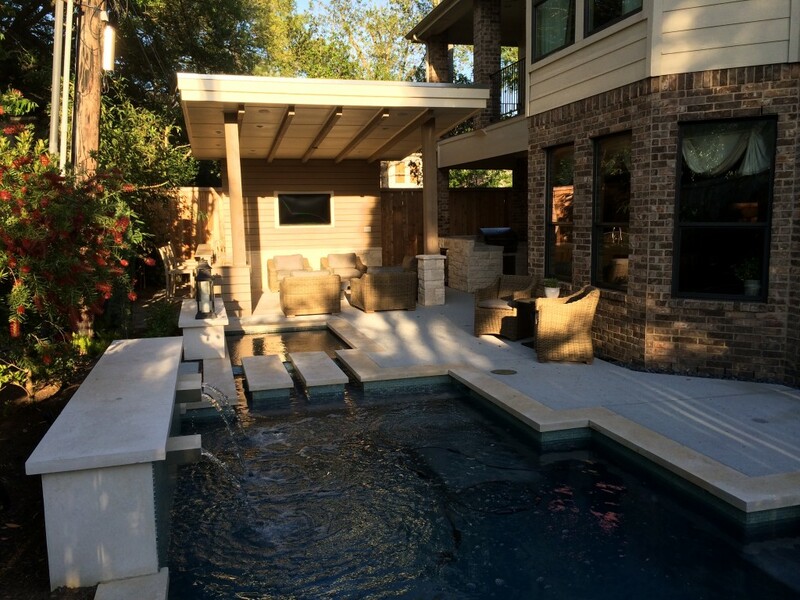 “The client put this pool in, but we helped with the structure,” explains Franks. Do you like the look of the silver travertine tile on countertops? 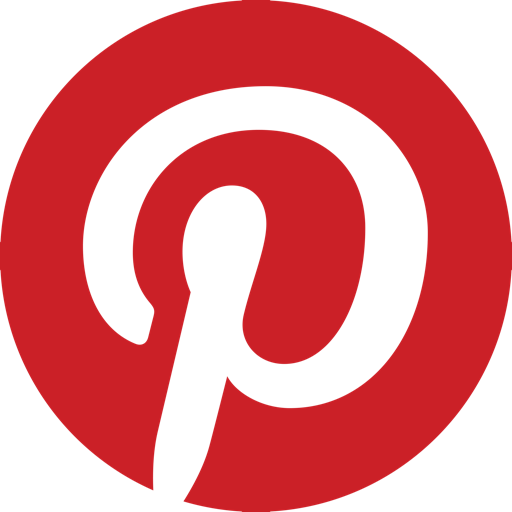 If so, you may want to check out some of these images of silver travertine tile on Houzz.